Marketing automation can take your email campaign to a newer horizon of opportunities. Automated emails get a 119% higher click rates than broadcast emails. It’s no secret. Relevant emails drive your revenue 18x better than general or mass email campaign. Marketers depend on this age-old user engagement platform more than ever. Automation makes it possible. In this post, we are going to discuss what email marketing automation is, how is it going to change your game? If you are interested, keep reading. Well, what do you think marketing automation is? Sending the right message to the right people at the right time automatically. Automated email marketing resembles the name also. Sending timely emails to your potential customers automatically, that’s what it is, in short. But the idea is more significant, and execution is more deeply strategic. The days of traditional email marketing is gone. A big list of random emails, and sending offers to people you don’t know even exist isn’t consider a real marketing approach today. At first, you need to build an email list, which needs to be healthy and stable. You shouldn’t enlist peoples name and email address who doesn’t make an interest to your updates, and promotions. It uses customers types and location, preferences and appreciation towards your services. Let’s see, why should you need to adopt email marketing automation for your business. Why Adopt Email Marketing Automation? Top B2B marketers believe automated email can increase your conversion rate as much as 50%. An event-triggered email campaign can save 80% of your direct mail budget. The prime reason you should use email automation is to save time and money. It will let you focus more on your other marketing strategies. Let’s take a look into some specific events triggered email automation. Send an email to people after they sign up to get updates. Email someone who is your previous subscriber. Automated email platform helps you to find out what pages and products they are searching on your website. Send survey emails. Ask your user about their choices. What types of service and product do they like to purchase? What kind of information did they need? You can also ask them for reviews via email. When someone abandons your cart without completing the purchase, automated emails can get them back to your site, intrigued them to purchase the product. Email marketing automation can reduce your cart abandonment rate by sending your potential customer alert and promotional offers. Before you are getting started with automated email platform, you should know the key terms. You must get your concept clear about them to execute everything well enough. Everything you get through, if you know how they work or what are their motifs, you can analyze every fact and make the best results. We are going to mention these terms with the shortest explanation. We will get into a more elaborate discussion too. Optin/ Subscribe: When someone optin/Sign Up to get your email updates. Double Optin: When people optin to get your emails, send them a confirmation link. If they confirm their subscription, your opt-in process will be foolproof. Spam: Sending an email to people who don’t optin to get your email, even if they optin you send too much random email following no clear strategy. Unsubscribe: When a customer unsubscribes from your email list. Trigger: Indicate or describe an event that triggered to send an email. Sequence: The sequence is the frequency of sending email after an event happens. Email Campaign/ Autoresponder: It indicates a series of emails following an event or fulfilling a business goal. Bounce Rate: Bounce rate indicates the ratio of your non-delivered emails. The average ratio is OK, but too high bounce rate means you are failing with your email marketing campaign. CTR: Click Through Rate. It’s the rate of the clicks on the link of your email. How To Getting Started With Email Marketing? Compared to other marketing channels like Facebook ads, native advertising, retargeting or mobile text alert, email marketing is an age-old tool. Top marketers around the world still think it is one of the best customer engagement platforms if you can apply automation. Automation adds some more potent benefit you can’t find any substitute. It helps to send relevant and engaging emails following your marketing strategy, user data. Triggered and time-sensitive emails bring more conversion. You need to essay your automation plan. 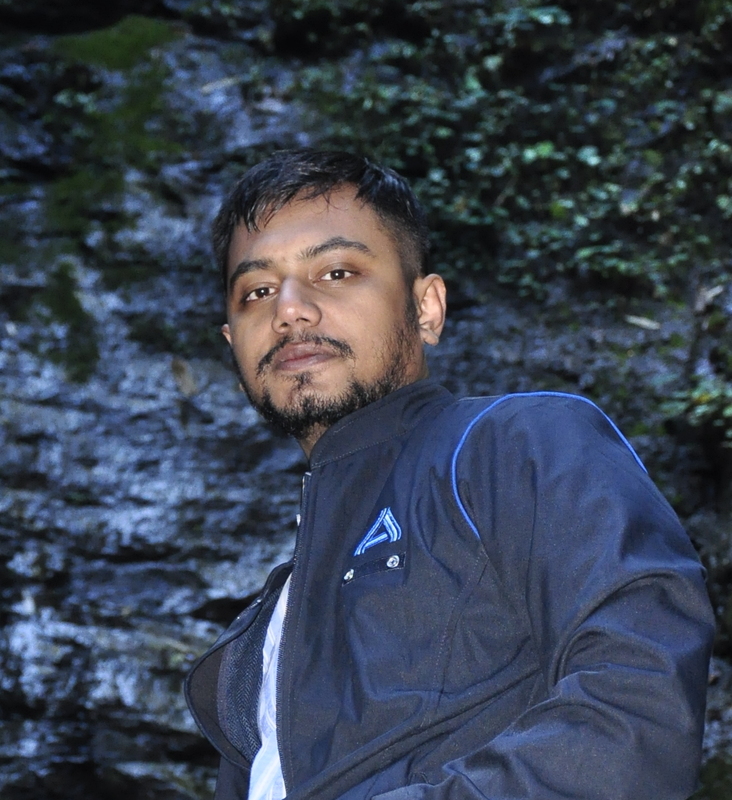 Need to use the best automation tool that fits your demands and necessities. You can choose both way or a single one depending on your marketing goals. Automation makes it easier. Trigger emails are the sort of emails that generates from your user behavior or preferences. When visitors come to your site, automation tools analyze the information and set up plans for sending emails to different types of customer. 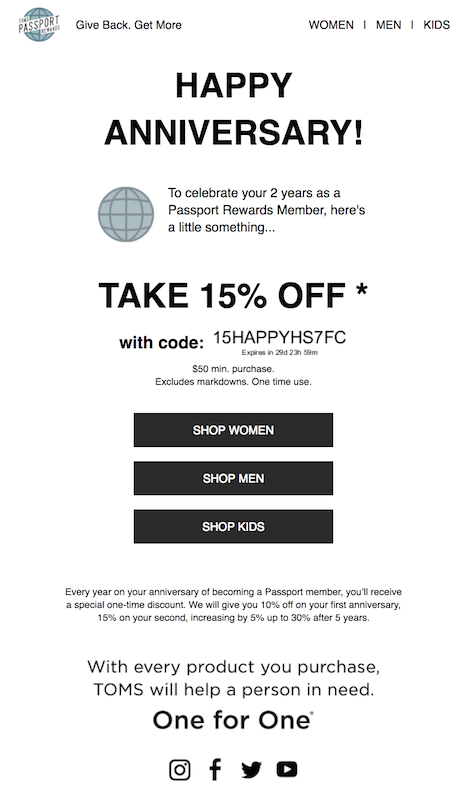 Passport utilizes the anniversary triggers to send 15% commission offers. Welcome email to a customer. When you get a real subscriber, welcoming him is a wise thing by an original email. It will help to establish your future relationship. Automation helps you to send a different welcome email to different customers. Milestone emails: Birthday, the day of the optin, and the special days or occasions you want to share with your customers, trigger emails can be a great way. You can set up trigger emails to get along and reach to your users following these events. Cart Abandonment Reminder: We have already discussed this topic. Trigger email can help you gain back your cart abandoning customer. What is drip feed emails? Drip feed emails can deliver following email to your customer, where you set or specify the time frame. It helps to engage your customer more carefully delivering insightful information regarding their needs. Without automation, it is quite impossible to take care of every customer in your optin list, and sending them relevant information following a strategic time frame. Drip Feed Emails help you to achieve this goal. After a user sign-up or subscribed to get emails, you can send a data-driven report to help them take the next step of their email marketing campaign. You can see the infographic to get a proper understanding of drip marketing. Well, now that you get the idea about what email automation is, learn about the types of automated email marketing, I think it’s time to move on to the next steps. You need to land on every step to reach a destination high. Email marketing automation is going with this style. 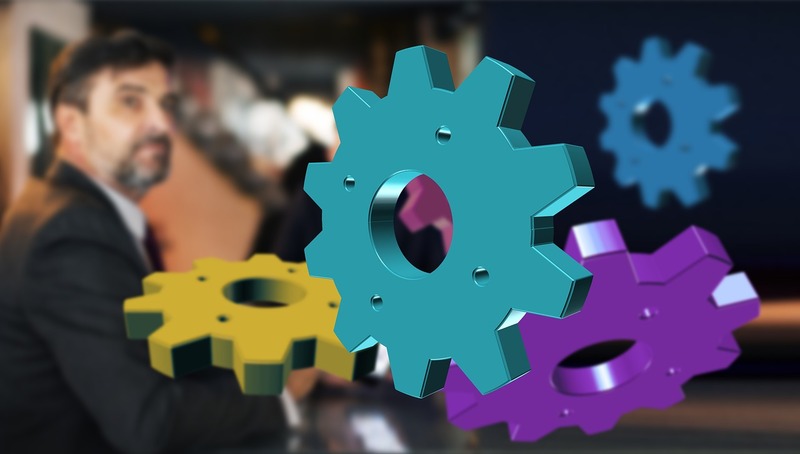 I intend to provide you with the necessary information you must understand well before applying an automation tool to your business. Let’s take a look and try to reason with these tips. It’s not helpful to send random emails to every customer. Analyzing your user data, you need to segment your email list. Set different email plans for a different user. Segmentation is scientific and strategic, help you to ensure brand value. What makes brand value? If you can make your customer understand that you do care for them. Email marketing automation uses these metrics to segment email and your subscription list. The industry your customers take an interest. How did people learn about you? What types of service they love and why? Segmentation helps you to learn more about your customers, what they love most and what not. This ensures you more CTR and conversions eventually. Using the same format and copy is cliched, worn-out. It won’t be going to add any value to your potential customers. End up distract them and lose interest to get your emails. Personalized email can increase your Click Through Rate up to 14%. 96% of companies around the world believe that personal email can boost their open rate and end up successfully. On the other hand, according to ActiveTrial, more than 52% of customers go elsewhere or marked an email as spam if not personalized. So, why shouldn’t you be more careful about this matter at hand? A split test is your evaluation process. It’s not only applicable to your technical terms like a landing page or CTA button. Try to get the results of your emails. What types of emails generates more CTR and open rate which end up too good conversions. The split test always helps you to achieve something more, because you cannot improve yourself unless applying A/B testing. A beautiful and useful email provokes a user’s intention to click on the CTA button, or in the link you have provided in the email. Email’s one of the most potent intentions is to bring a user to your website as soon as possible to make an action. It suffices. People often click on the CTA. And, most of the time, what would they find? Not-So-Awesome landing pages, an event not correctly match the design of the email. Slow landing pages often fail your marketing promotion. And, a landing page dissimilar to your emails content, design, and the template isn’t going to help you either. So, before you design your emails, make sure it is connected to your landing pages and design. Automation is going to help you a lot if you use it to the fullest. I have already told you about doing the split test. Though, there are some top metrics you need to analyze again and again. There is no other way to find out your weakness and try to get rid out of them. The goal is to accomplish your intention toward sending automated emails to your potential subscriber list. Make sure they are alive with their activities and make them think about your offers. You cannot adopt email automation unless you are ready to get help from a robust automation platform. There are a lot of platforms you may find, but choosing something that fits all of your needs is a crucial thing. To get a clear idea about it, read our in-depth post about the best email marketing automation tools. It will help you to make your decision. You cannot get your desired success unless you get the right way to satisfy your customers. Even only satisfaction is a part of the game; you must add value. Following the email marketing best practices, you can achieve this goal. It’s the present we are talking about, automation and AI (Artificial Intelligence) is the future of digital marketing. Are you ready to make yourself comfortable?